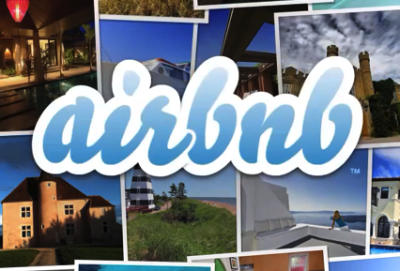 As an Airbnb host, you’re running your own business and want to differentiate yourself. Naturally you’re looking to provide the best customer service for your customers without dealing with the headache. There are so many things to think about like how to optimize your listings, responding to customers, manage check-ins, etc….the last thing you should be thinking about is who will be cleaning the toilets. Level of reliability far the most important thing you need to gauge in a cleaning company or maid. If a cleaner doesn’t show up on time or (worse) completely flakes, you’ll be stuck cleaning the home by yourself and it might not be ready in time for the next tenant. This leaves a bad experience for your client, which will negatively impacts your business. How often is the maid/Airbnb cleaning company available? How much notice do they need ahead of time? How many other clients are they working with/will this affect their reliability? As you know, often times there are just a ton of last minute changes. A client cancels, decides to stay another day, isn’t awake in time to check-out…the list goes on. Will you be able to call this maid/company on short notice to change scheduling? Is there a charge for last minute changes? Do you have a back-up plan if a cleaner is booked and can’t accommodate a change? As you scale your vacation rental business, the least amount of time you spend on scheduling the better. If you’re still texting/calling maids for every Airbnb cleaning it’d going to be very hard for you to properly grow your business without dealing with admin work. You also do not want to have to find, vet, and hire new maids every time you list new properties. How many crews does the company have? Will they be able to handle X amount of more bookings as you grow your listings? Will you have to manually call the maid/cleaning service to schedule every cleaning? Sometimes there will be mistakes with your scheduling or tenants and things just don’t go right. It’s vitally important to work with a maid or company that will understand these growing pains and work with you as a partner. Ask the maid or company for references so you know how they’ve worked with past clients. If you have any questions about Airbnb cleanings and what to look for, even if you’re not in our service area, feel free to contact us. Check out our Airbnb Cleaning Service page for more information about our vacation rental cleaning services.